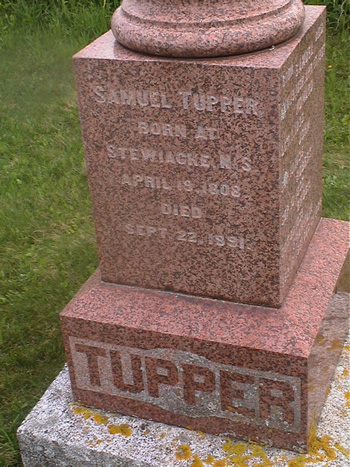 Robert G. Tupper was born on 10 Sep 1837 in Upper Stewiacke, Colchester County, Nova Scotia, Canada. He was Canadian and Presbyterian. In the 1901 Census, Robert is listed as being of English ancestry, but in the 1881 Census, he is listed as Irish, but always born in Nova Scotia. Robert could read and write English, but he was deaf from childhood and could not speak. He was educated at the Deaf and Dumb Institution, 191-249 Gottingen Street, beginning Spring of 1857 in Halifax. Robert was a student of William Gray's, the first teacher at the school, and later was "a pupil of the late J. Scott Hutton Esq., MA, who was engaged as a principal of the Institution is the summer of 1857." It was at this school that Robert met his future wife, Ruth Elizabeth Bentley. 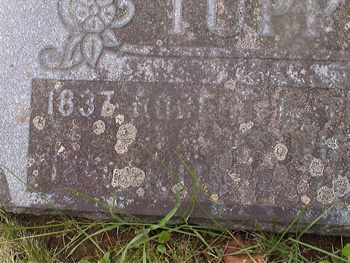 Robert G. Tupper and Ruth Elizabeth "Lizzie" Bentley were married on 11 Jul 1873 in Billtown Baptist Church, Kings County, Nova Scotia. They were married by the late Rev. J. F. Kempton and assisted by the late Mr. J. Scott Hutton (principal of the Deaf and Dumb Institution) who acted as interpreter on the occasion. 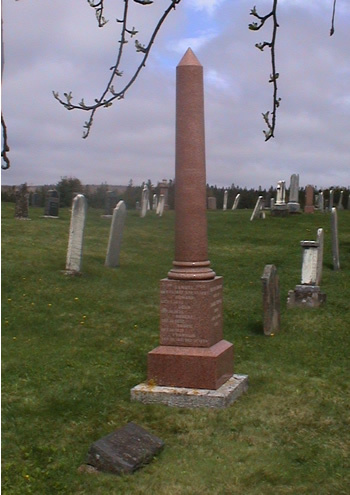 After the wedding, they lived in McNab's Island (before 1878), but soon moved to Middle Stewiacke, Colchester County, Nova Scotia, where they lived and farmed from 1878 to 1908. Robert seemed to have some sort of illness or disabililty that kept him from working on the farm at some points in his life. It seemed to be at its peak in the late 1880s, but carried on into 1891. At that time, he had been ill enough that his father Samuel wrote, "Robert is pretty well this spring." In their later years, Samuel and Martha Tupper, Robert's parents, lived with Robert and Lizzie, but in 1901, Robert was the head of a household of four that included his wife Elizabeth, his son Erlon, and his sister-in-law Jane Bentley. 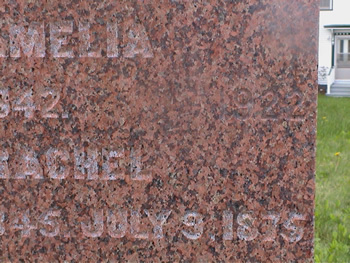 Daughter Bertha was already married at that time. 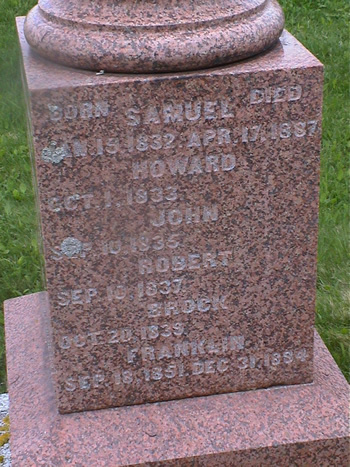 Robert died on 4 Apr 1908 in Middle Stewiacke and was buried in Old Middle Stewiacke Cemetery, Colchester County. From Robert's obituary: Robert "was one of the earliest scholars of the Deaf and Dumb Institution, Halifax, in the Spring of 1857, when it was just founded at the suggestion and with the assistance of his brother-in-law George Tait, of Dartmouth, who died a few years ago and was in a class of Wm. Gray's who was the first teacher of the Deaf Mute School in Halifax. 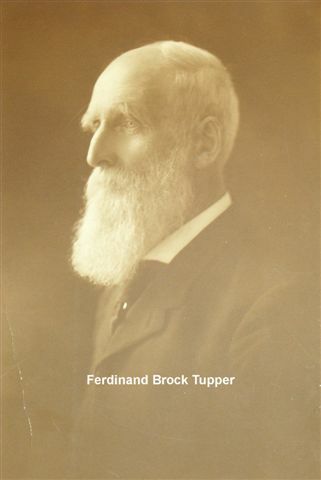 Mr. Tupper was afterwards a pupil of the late J. Scott Hutton Esq., MA, who was engaged as a principal of the Institution in the summer of 1857. Mr. Tupper had two deaf mute brothers, two deaf mute cousins, four deaf mute nephews, and one deaf mute niece. All, but one cousin and the niece received the benefit of education at the Institution. 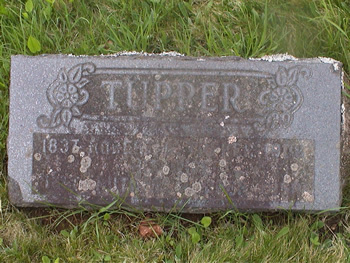 In July 11, 1878 [actually 1873 I think] Mr. Tupper was married to R. Elizabeth Bentley, a deaf lady of Billtown, Kings Co., N.S. by the late Rev. J. F. Kempton in the Baptist church, assisted by the late Mr. Hutton who acted as interpreter on the occasion. 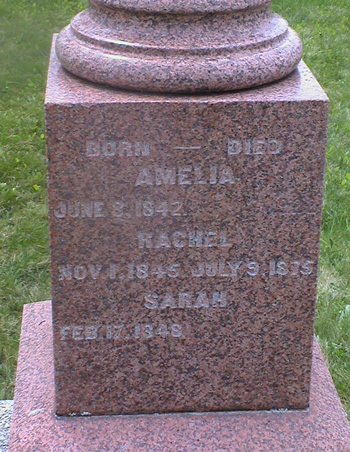 In 1878 he moved with his family from Halifax to Middle Stewiacke, and lived on the farm until his death. He leaves a widow, and a son, Erton H. Tupper; a daughter, Mrs. Wm. D. Conroy, five grandchildren, one brother, F. B. Tupper of Lanesville, Col. Co., and one sister, Mrs. George Tait of Dartmouth." The five grandchildren that Robert left behind all belonged to his daughter Bertha Conroy: Winnifred (8), Andrew (7), Pearle (about 6), Frank (about 2), and Ella (almost 2 months old). Erlon did not have any children yet. Ruth Elizabeth "Lizzie" Bentley was born on 20 or 23 Jan 1850 in Billtown, Kings County. Her obituary describes her as being "the daughter of Andrew and Mrs. Bentley (the former Ruth Ells)." She was Canadian. In the 1901 Census, Elizabeth is listed as being of Scotch ancestry, but in the 1881 Census, she is listed as Irish ancestry, but born in Nova Scotia. At some point, Elizabeth lived in Lexington, Massachusetts. Elizabeth was deaf from childhood; she lost her hearing in an accident at the age of three and attended the School for the Deaf in Halifax shortly after it opened. According to the 1901 Census, Elizabeth could read and write English, but she could not speak it. Lizzie's father-in-law Samuel Tupper wrote of her on May 14, 1889: "Lizie is very kind I think more of her every day." 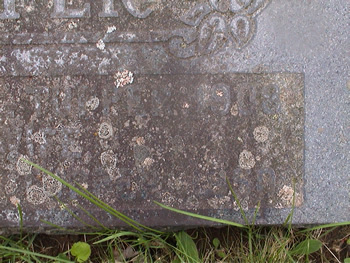 Lizzie died in Jan 1950 in Middle Stewiacke and was buried in Old Middle Stewiacke Cemetery, Colchester County. Erlon Howard Tupper (born on 4 Jul 1874). Bertha Evelyn Tupper (born on 19 Feb 1882).